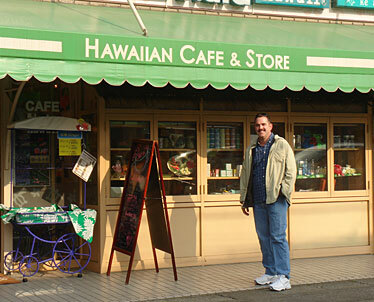 Linda and Mike Kelly - that's Mike above - were in Kamakura, Japan, and ran into the Hawaiian Cafe & Store. There were quite a few Made in Hawaii products available, Linda wrote, adding that it was just like being at home. 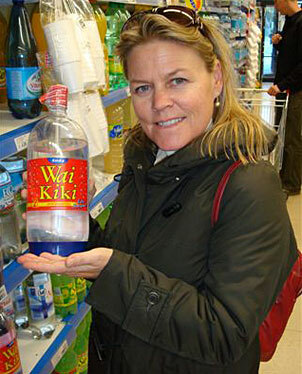 Kate and Peter Esser were in Patagonia, a town called El Calafate, when they saw Wai Kiki bottled water on one of the store shelves. 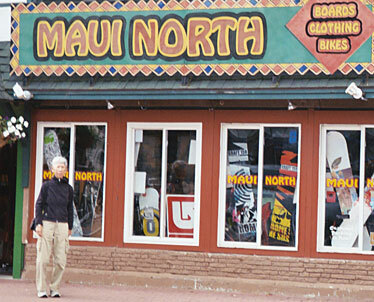 Paul Schwind sent this photo of Mollie Chang in front of Maui North, a snowboard shop in Lake Placid, N.Y.